Model of the car to be glued. Size: 1:24; 15.4 cm. The package contains: 121 pieces for gluing. At the IAA 1975, Volkswagen introduced a car that was initially developed even without the advice of the board. This sporty sibling of the Golf 1 has offered what is the realm of real sports cars - a low curb weight coupled with a powerful engine. It was particularly recognizable by expanding mudguards, wider wheels, a large front spoiler, and red lines framing the radiator grille. It was a full-bodied sports car and its acceleration from 0 to 100 km / h, which was a mere 9.2 seconds. 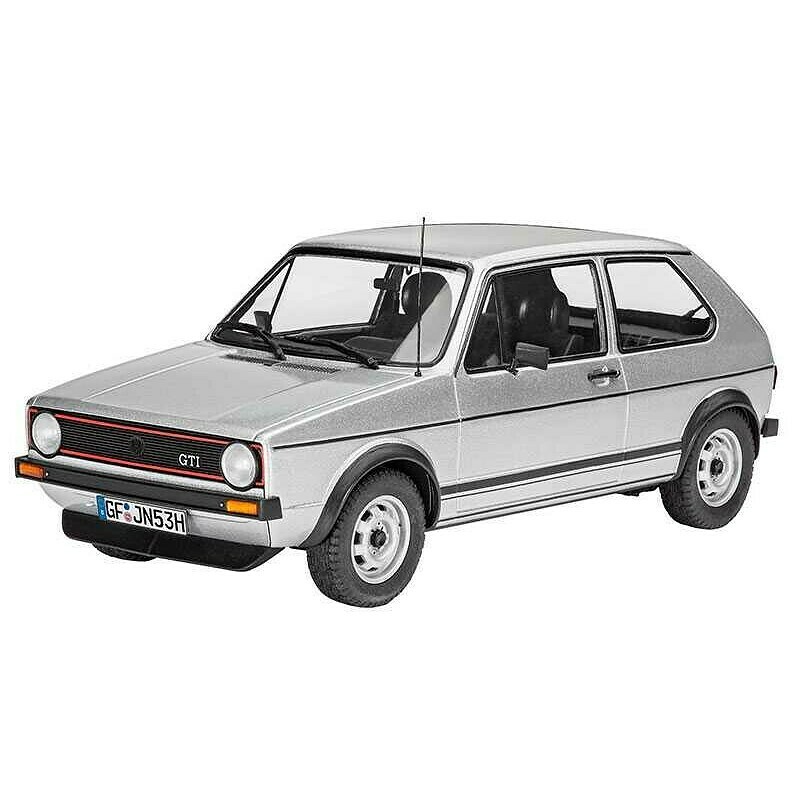 The incredibly fast GTI, as the car has been named, has been available since 1976 and has made a major breakthrough in the motoring world. An affordable sports car has come to the market and could compete with many more expensive competitors, and everyone could afford it and was also suitable for everyday use. The sports car sector, with 110 horses under the hood, was completely demodicated. It is no wonder that in a very short time it became literally a cult.